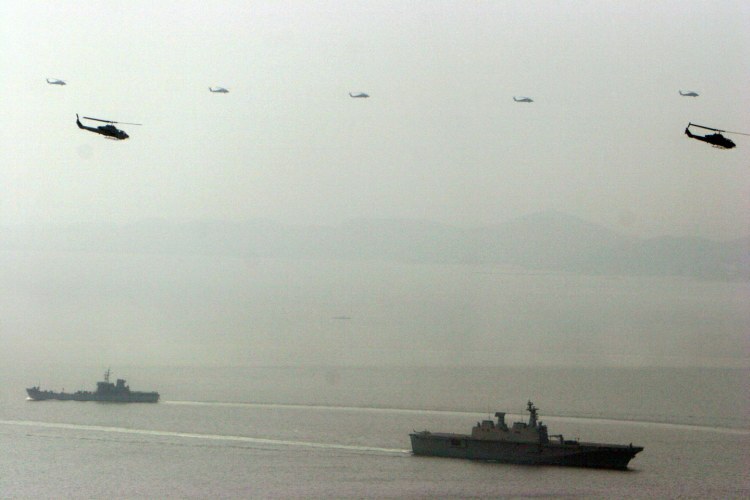 Pohang, South Korea, 06 November 2008 — Helicopters assigned to the 31st Marine Expeditionary Unit, front, and the 1st Republic of Korea Marine Division provide close air support for an amphibious assault during Korean Incremental Training Program '09. The amphibious landing was conducted to provide the Republic of Korea military the sustained capability to respond to future contingencies from ship to shore. U.S. Marine Corps photo by Cpl. Jason Spinella.